Good morning all, it's time for another fresh challenge here at DYSU! We had some fabulous creations with Leaves & Trees last week, making it so hard for us to choose the Top Three! Thank you all for continuing to inspire and create with us here at DYSU. 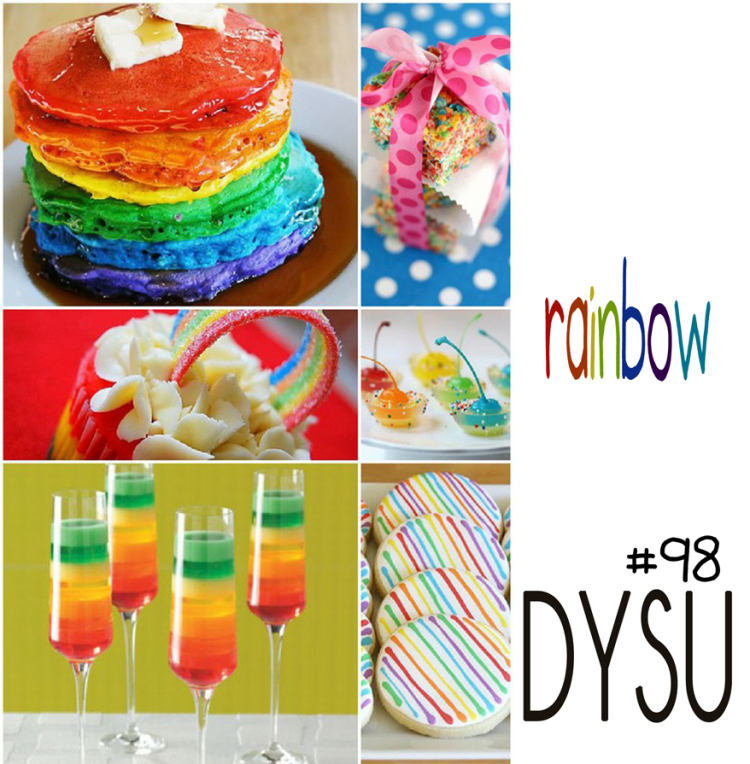 This week we have the theme of RAINBOWS in your creations! So, let's see your take on a Colourful Rainbow Theme. We can't wait to see what you create! For my card I used the digital paper set Eclectic Summer from Uniko. I used some circles as masks in Photoshop to create this one layer card. It's perfect to make a set to give as a present. I am also presenting this card in the Creative Paper Trade current challenge. Specifically i was inspired by the Tip Top Shape which are circles. I love the way these girls are always challenging us to create with such a fresh twist!! I embossed the printed panel to add some texture and interest to the card. Hope you have a great day and that you find some time to play with us. Bella tarjeta, buen trabajo. Te felicito! Joan your card is a delight! Love all of your playful colorful circles, they look like confetti! Thanks so much for joining us at the Creative Paper Trade! Brilliant use of these gorgeous papers. Love this bright, fun card. Perfect style and colors for a festive and happy looking card! Love it! And so glad you shared it with us at the CPT! Welcome to my special corner. Here I will share my creations, ideas and maybe a story to cheer up someone's day. DT INVITADA PARA LATINA CRAFTER! YO TENGO TU LOVE.... YEAHH!